« Next Article: Winner of a two week Spanish course in Spain!! 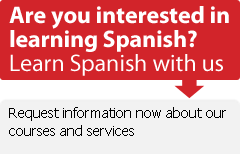 » Previous Article: Study and Work in Spain - Special Offer! don Quijote offers a Work & Study program which combines a Spanish course in any don Quijote destination followed by a job placement in Spain. You won't get rich, but you will earn enough to cover basic expenses. This is a great opportunity to get working experience abroad while learning or improving your Spanish, and most of all to have a really fun time and meet lots of new people. This program has had great reviews from many of happy students. Check out a few videos of our student testimonials and hear about their experiences working in Spain.